The Best Christmas Gift: The Tandem Skydive - On Sale Now! Our annual Christmas tandem Skydive promotion is out! We have just launched our most popular tandem skydive promotion of the year, and this time with a spin! 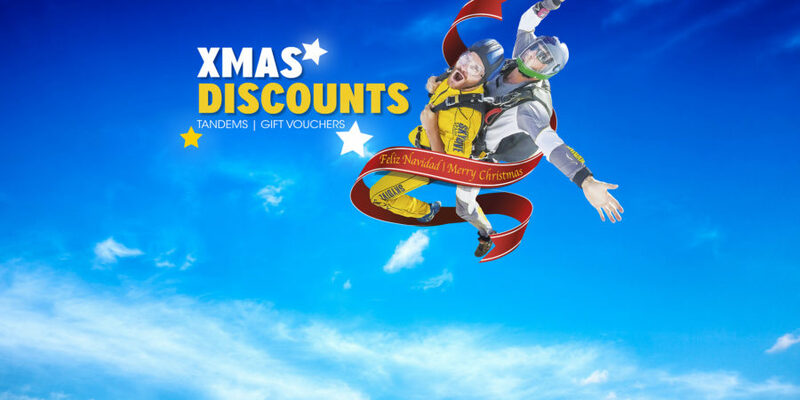 Two ways of saving on your tandem skydive this Christmas: Book online for yourself to jump during the holidays or show someone you love them with a gift out of this world! 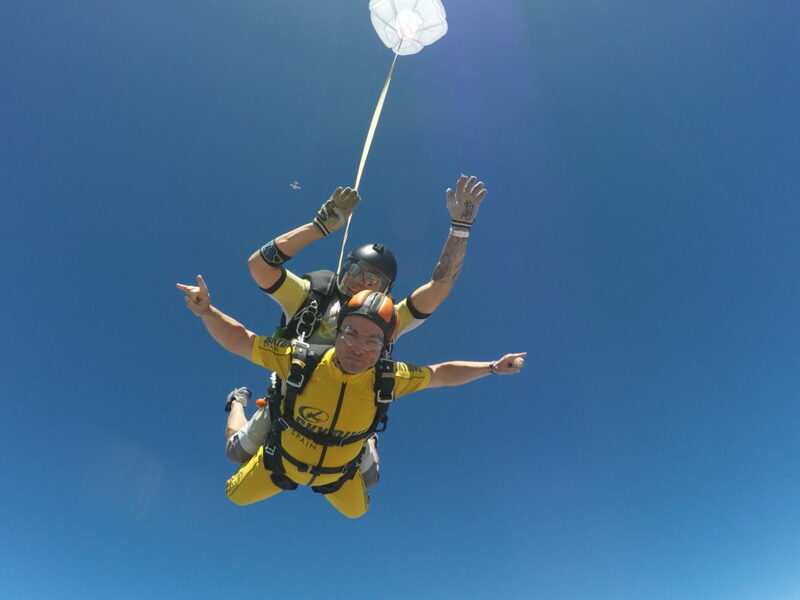 Book your jump online and save 20€ if you tandem jump from November 23rd to January 6th! To save on your tandem skydive, please use the promo code “Navidad18” when booking your tandem jump online. Experience the thrill of a tandem skydive for only 169€, or 209€ if you decide to take your experience to the highest skydive altitude: 15.000 ft. tandem skydive! This will give you 60+ seconds of freefall. WOW! You also have the option to record on video and photos your experience! This is truly a great option to make sure you can relive over and over again the moments that you will remember as one of the most exciting things you have ever experienced in your life. You can choose to have your experience recorded with a handycam, for 74€, or upgrade to the external video for 99€. We are lucky enough to be one of the few places in Europe where you can jump throughout the year. That’s right 365 days! Experience the rush of adrenaline jumping in the crisp and beautiful skies of the Southern sunny Spain’s winter. THE BEST HOLIDAY GIFT FOR HIM OR HER! Our Christmas Gift Vouchers are a great option for those looking for an unforgettable gift! Form now until January 6th you can purchase your voucher online for our 15.000 tandem skydive with a 20€ discount, using the promo code: “CHQNAV18“. Vouchers can be redeemed for up to a year, so you can even surprise a loved one who cannot jump right away! *Voucher discount is not accumulative with the jump during the holidays discount. What exactly is a tandem skydive? We offer this experience to anyone who wants to experience the rush of a skydive without training to become a licensed skydiver. With just 20 minutes of ground training with one of our highly experienced skydive instructors, you will be ready to jump out of a perfectly good airplane attached to one of our tandem instructors. 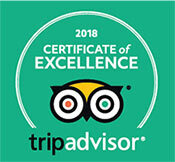 This means you can just relax and take in the whole experience while our expert instructors bring you back safely to earth.